With only a few days until the wedding, it was time to start finishing up projects I have started. I have been buying small things( treats, drinks, and other) to include in our out of town bags that will be distributed at the hotel. Now it was time to prep and stuff the bags. I was definitely not expecting this to take more than an hour. Wow was I surprised! Since the planner is dropping them off in the hotel, I had to put the bags in boxes so they could be easily transported. 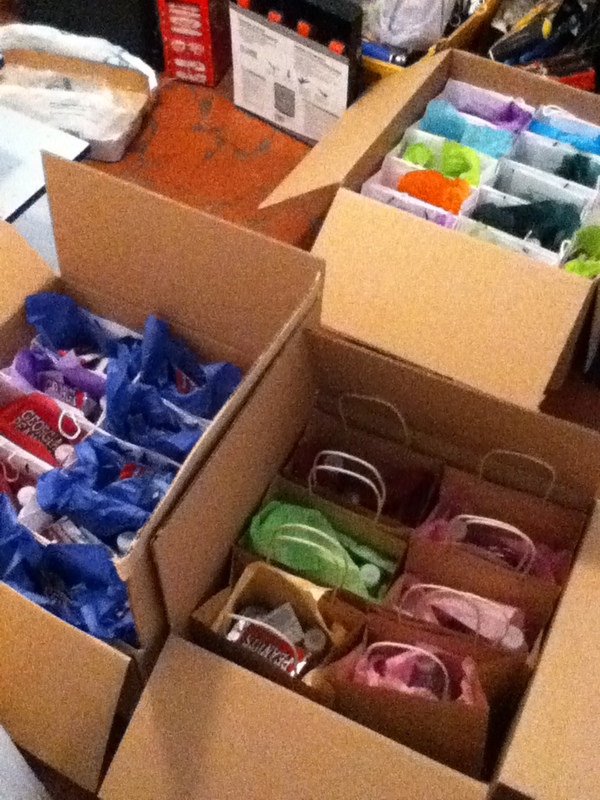 We opened and set each bag, then stuffed them with colored tissue paper, and eventually all of the treats. I ran out of wedding bags so I went and bought brown paper ones. At least this way they were sturdy and could be recycled. Luckily Eric was able to help me so this was a team effort! We added a few more items for the guests including a coca cola (another Georgia staple) and some advil just in case. Hopefully our guests will enjoy!! Besides having the peanuts and jelly beans in the out of town bags, I decided to add some other things. One of the items is something that I thought could actually be useful. I am a little “germaphobic” and when I travel, I like to have soaps and sanitizer with me but sometimes it isnt always available. So I thought this could be a small addition that guests might appreciate. I saw on a deals website the bath and body works was having a special. I also had a group deal coupon to use at their store. 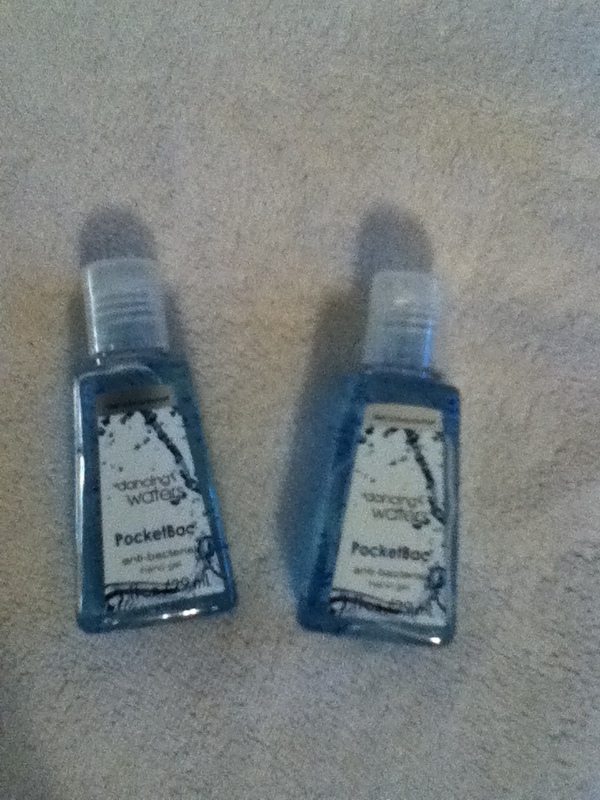 So after searching online, I found these small blue bottles which were perfect for our blue theme. These little bottles are great for carrying around. After using the deals and coupons, then deciding to pick it up at the store (and not pay for shipping) the final cost came out to ~$0.22/ea. Definitely pleased with my purchase! I decided early on that I would do welcome bags for all of our out of town guests. The majority are staying at the hotel where we have a wedding block, with a few scattered around other places. The out of town bags would mainly be given at the hotel since it is just easier to focus on one location with the bulk of the people. 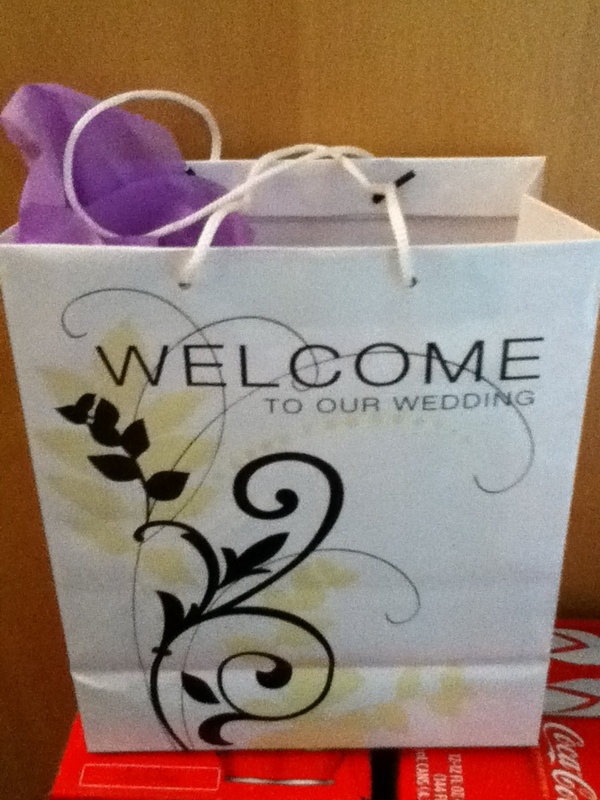 A few months ago, I ordered wedding themed bags which I can show once everything is compiled together. There are some standard things I want to put in the bags but I also wanted something that welcomed guests to Atlanta, especially if it is their first time. So, it was time to think of things that represent Georgia. The first thing that came to my mind was good…peaches and peanuts! Now, I originally intended to put a peach in each bag but soon realized that they would probably get smashed or bruised and it would create a giant mess. 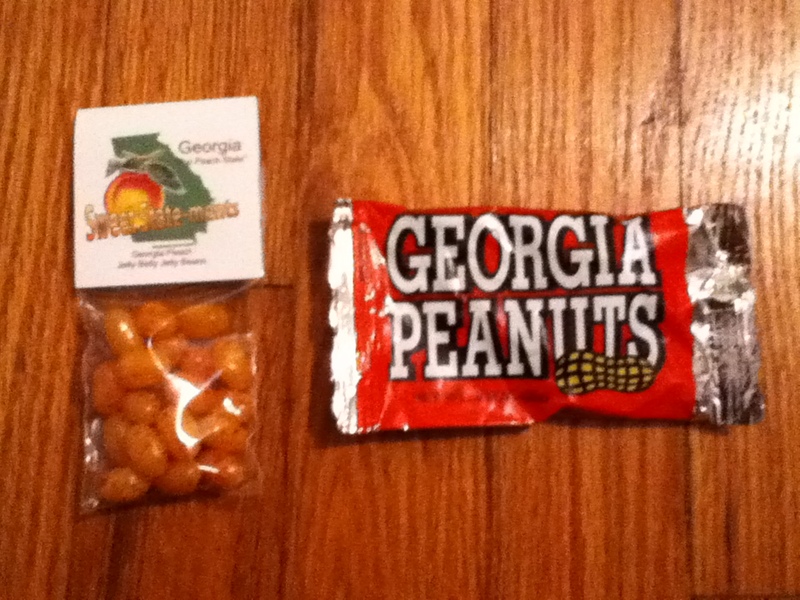 Instead, I found peach jelly beans that say “Welcome to Georgia.” While browsing, I also found individual sized bags of Georgia Peanuts! Hooray 🙂 I have 2 additions for my bags!!! Workout: This has really been lagging since all my time is spent at work or wedding planning!